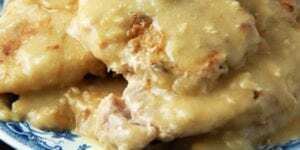 3 Ingredient Buffalo Chicken (Low Carb) - Recipes That Crock! Are you looking for an incredibly easy way to make shredded chicken for sandwiches, salads, tacos and more? 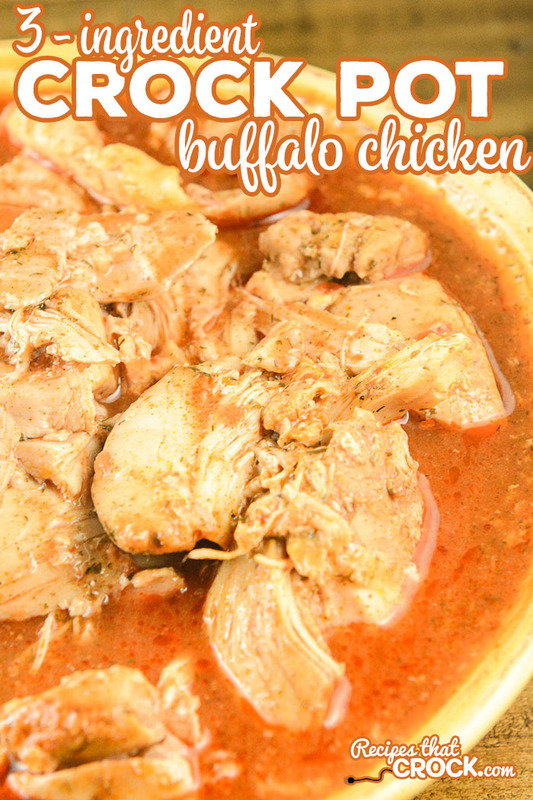 This recipe for 3 Ingredient Buffalo Chicken is not only a great dump and go crock pot recipe that everyone LOVES but also low carb! The other day I got a lovely note from Donna, a Crock Posse member (over on the YouTubes 😉 ). 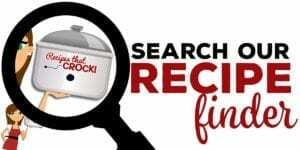 She shared with me a couple of her favorite go-to low carb crock pot recipes. 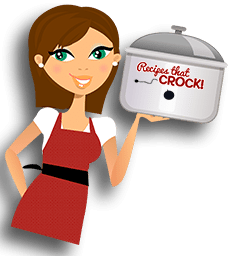 Well you KNOW how much I love me some low carb crock pot recipes… so I had to give them a try. This 3 Ingredient Buffalo Chicken was the first one I tried because it looked so easy and it was similar to many of the Crock Pot Buffalo Chicken Recipes that Aunt Lou has loved and shared here. And, Buffalo Chicken is something we hear from you guys that you love, so we have a LOT of great ways to serve up that flavor! As I mentioned before, this recipe is super easy and only involves 3 ingredients: Boneless Chicken, Ranch and Wing Sauce. You just combine your ingredients and cook on low for 4-6 hours. Then you shred and serve. Readers often ask me how to serve a recipe or what to pair it with for dinner. 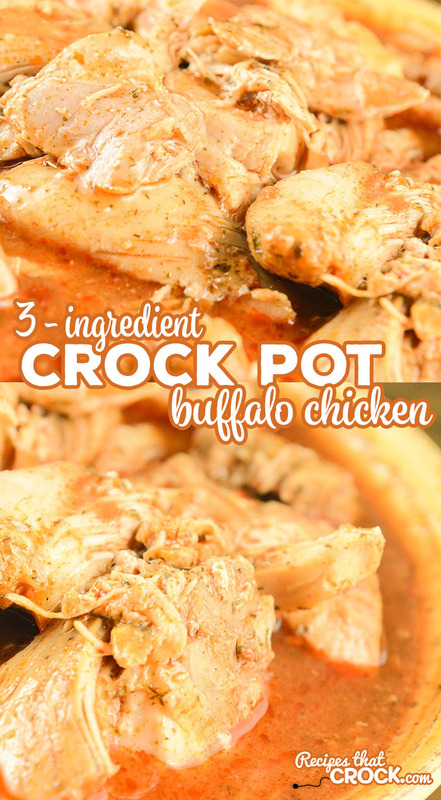 This Crock Pot Buffalo Chicken Recipe is very versatile. 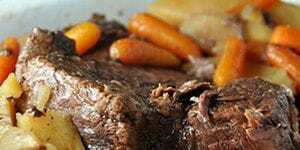 Most folks will serve it up on buns with a bit of prepared ranch dressing and a side of carrots and celery. Donna likes to eat hers over salad. 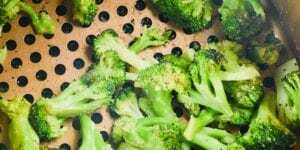 She says the juices mix well with prepared ranch dressing to make a delicious salad. Mikey and Miss Add love to make this chicken into tacos. 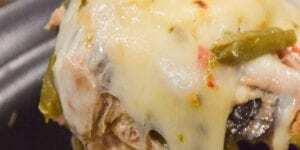 They serve them up on low carb tortillas and add a little tomato, cheese and sour cream. I like to eat mine over riced cauliflower with a drizzle of ranch dressing over the top. 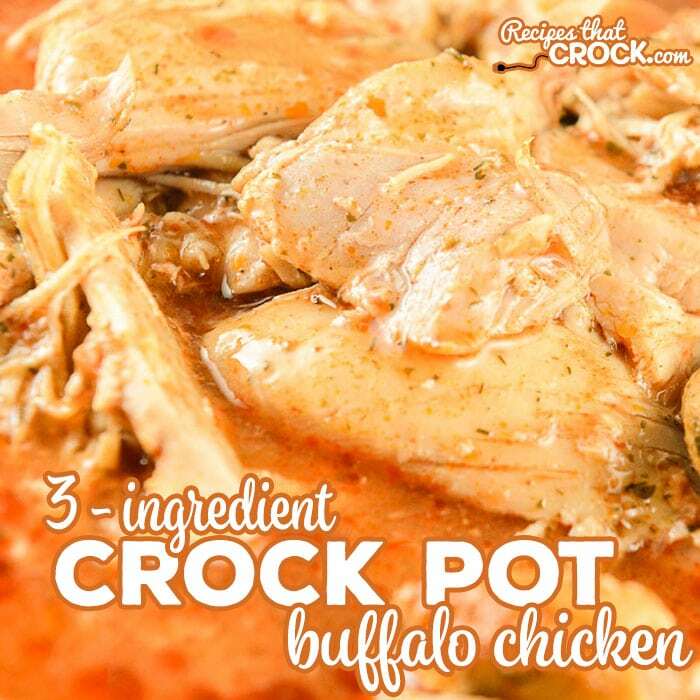 This recipe was submitted to us by Crock Posse member Donna G.
Use the boneless chicken of your choice. Donna uses chicken breasts and I use chicken thighs. I enjoy using Dill Ranch Packets instead of regular ranch packets. I love the flavor and they are less carbs than a regular packet. Are you looking for an incredibly easy way to make shredded chicken for sandwiches, salads, tacos and more? 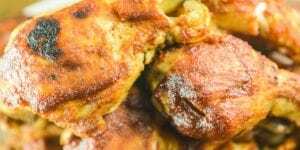 This recipe for 3 Ingredient Buffalo Chicken is not only a great dump and go recipe that everyone LOVES but also low carb! Shred chicken with two forks and serve.